Looking for a new compact sedan but aren't sure where to start looking? Capital Toyota in Chattanooga has the answer! 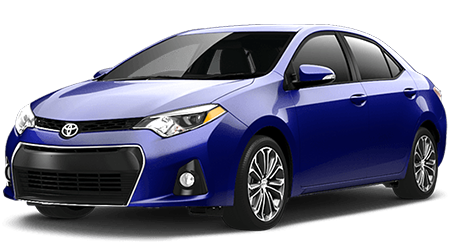 Come to see the 2016 Toyota Corolla at our Chattanooga new Toyota dealership and get your hands on the newest iteration of value-filled, reliable compact sedans. Come to Capital Toyota and explore the 2016 Toyota Corolla and find out why drivers have been singing the praises of this nameplate for decades. We have a wide array of new Corolla models in a variety of trim grades as well as new Toyota vehicles of all kinds. Explore the new Corolla and see why so many drivers choose this reliable and capable compact car year after year. Capital Toyota is located in Chattanooga, TN and proudly serves shoppers from Jasper, Ooltewah, Signal Mountain, and Cleveland, TN as well as the surrounding areas. Before you visit us, browse our inventory of new Corolla sedans and other new Toyota cars for sale in Chattanooga, TN right here on our website. The 2016 Toyota Corolla is an impressive contender in the compact sedan segment and it can drive circles around its rivals, like the Honda Civic sedan. Let the numbers do the talking; see how and why the Toyota Corolla continually bests its rival in every round! There were some minor changes introduced to the 2016 Toyota Corolla, but every one helps it stay ahead of the Honda Civic. This year, the popular compact Toyota sedan gets Siri Eyes Free smart-phone integration in trims equipped with the Entune Audio Plus system. An Entune Premium system is available on LE, LE Eco, and S trims. These upgrades have kept the Toyota Corolla sprinting ahead of the Honda Civic and ready to deliver 100% on all of your driving needs. The 2016 Corolla is definitely affordable, but that doesn't mean that it's a bare-bones car in any sense. Toyota loaded the Corolla with features in every trim level to ensure that every shopper could find a vehicle outfitted in the way that best fit their budget. The Corolla LE comes with LED low-beam headlamps with halogen high-beam lamps, LED daytime running lights, color-matched outside mirrors and door handles, 15-inch wheels, intermittent windshield wipers, an in-glass AM/FM antenna, air conditioning, the Entune audio system with Blueooth, 6.1-inch touchscreen, USB 2.0, auxiliary jack, voice recognition, and Siri Eyes Free. The Corolla LE upgrades the Entune system with integrated navigation, an app suite, HD radio, HD traffic and weather, and a three-month trial of Sirius XM satellite radio. The 2016 Civic LX comes with projector-beam low-beam headlamps instead of LED and does not offer the all-in-one ease and convenience of the Entune system. 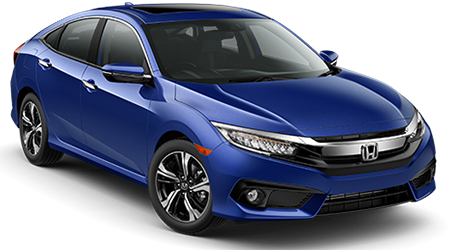 You also won't find an entry-level Civic with HD radio, Sirius XM, navigation, voice recognition, or smart-phone integration. Also, entry-level Civic models only come with a five-inch color LCD screen, which is an inch smaller than the 2016 Corolla's audio display screen. Both the 2016 Toyota Corolla and the 2016 Honda Civic are classified as compact sedans, but that is about where their similarities end, especially when you look at the price points of both vehicles. The 2016 Corolla should be your pick if you want a car that is affordable, efficient, and reliable; the Honda Civic tries, but it can't do all three at once. The Civic starts at an MSRP of $18,640 (excluding the destination charge), while the Corolla has a MSRP of $17,300 (again, excluding the destination fee). Right out of the gate you will be saving $1,340 by choosing the Corolla over the Civic. The 2016 Toyota Corolla offers a better value overall than the 2016 Honda Civic, even when reaching upper trims. The top-level Corolla Special Edition starts its MSRP at a wallet-pleasing $20,635, while the top-of-the-line Honda Civic Touring will have you shelling out $26,500 for a fully loaded experience. Choose the 2016 Corolla and you will have some money left over to have some fun after you buy your new car. While conventional compact sedans only focused on providing users with an easy to drive base, the new Corolla and Civic are packed with an extensive list of safety features. With the Corolla's lengthy list of safety features, you can rest assured knowing that you'll be protected at all times in the vehicle and can enjoy driving the compact sedan. The Corolla comes with a host of standard safety features like the Star Safety System, which includes Vehicle Stability Control, Anti-Lock Brake System, Traction Control, Brake Assist, Brake Force Distribution, and Smart Stop Technology as well as driver and front passenger Whiplash-Injury-Lessening seats, eight airbags, LATCH, energy-absorbing collapsible steering column, head-impact protection structure, a Tire Pressure Monitor System (TPMS), and Hill Start Assist Control. The 2016 Corolla also comes with ToyotaCare, that gets you two years or 25,000 miles of no-cost scheduled maintenance and 24-hour roadside assistance. The Honda Civic does not come with a comparable maintenance and roadside assistance package. If you are looking to explore the roads of Tennessee in your new Corolla, you will enjoy knowing that your car will be covered in the event of any mechanical issues thanks to an amazing factory warranty. To provide you with the ability to enjoy this amazing compact sedan every day, Toyota backs the 2016 Corolla with a great warranty that covers nearly all of the vehicle's important functions and systems. With the Corolla's comprehensive warranty, you will have the confidence to enjoy using your new Corolla sedan in a variety of driving situations and not have to worry about something going wrong during your initial years of ownership. The Corolla is backed by a 5-year/60,000-mile drivetrain warranty, along with a 3-year/36,000-mile basic bumper-to-bumper warranty. The Corolla also comes with the ToyotaCare no-cost maintenance plan, which will allow you to get scheduled maintenance service at no charge for 2-years/25,000-miles, which is not included on the Civic. Now that you have heard all the great things that a Toyota Corolla can do, come to Capital Toyota and explore our selection of impressive compact sedans. We are eager to show you all the amazing technology and advanced features you can find in the new Corolla, so come and visit us soon in Chattanooga, TN. We will be happy to show you around and help you choose the right new Toyota for your driving needs. Shop our inventory online before you visit our dealership and you can call in an appointment for a test drive in any car or truck that catches your eye. Capital Toyota is proud to serve shoppers from Cleveland, Signal Mountain, Ooltewah, and Jasper, TN as well as the surrounding areas.